Winning ideas leverage technology to offer credit scores, savings, loans and insurance to small businesses, farmers, lower- and middle-income individuals. The Financial Inclusion Lab has announced eleven fintech innovators who have been selected for its first intake to the Lab. The successful entrants will use technology-based strategies such as automation, underwriting and machine learning to help improve the financial health of lower- and middle-income (LMI) people, farmers and small entrepreneurs in India. 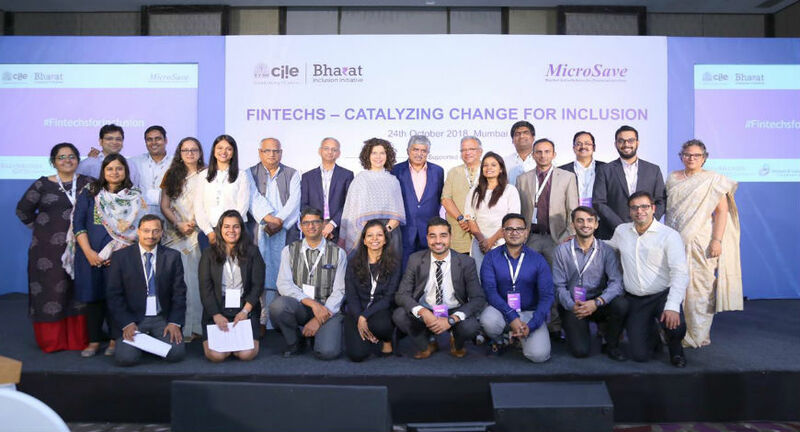 The Financial Inclusion Lab, a part of IIMA-CIIE’s Bharat Inclusion Initiative (BII), is a collaboration between BII, J.P. Morgan, Michael & Susan Dell Foundation, and Bill & Melinda Gates Foundation to help scale early-stage fintech startupsthat address the unique needs of lower- and middle-income people. The US$9.5 million initiative will provide the start-ups with the necessary support, capital, strategic guidance, market access and mentorship to build and test their products in twelve months. 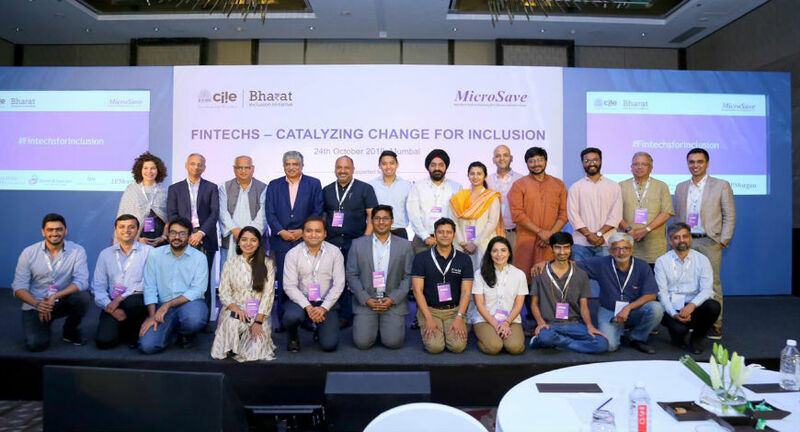 The Lab builds on insights from international financial inclusion consulting firm MicroSave, which found that more than 40% of the Indian population have not accessed financial services enabled by technology. The lack of awareness, availability and access to suitable products and non-intuitive user interfaces are some of the reasons why lower- and middle-income customers do not gravitate towards fintech solutions. These are the gaps that the first entrants into the Lab will address by building credit scores and facilitating access to appropriate savings, loans and insurance products for small businesses, farmers, and lower- and middle-income people. To support its first entrants the Lab will draw insights and learnings from the work performed by the JPMorgan Chase-funded Financial Solutions Lab, managed by the Center for Financial Services Innovation. In its fifth year, this initiative has supported 34 fintech companies to improve the financial wellbeing of underserved communities in the U.S.
Sanjay Jain, Chief Innovation Officer, CIIE said, “Technology-based innovations offer tremendous opportunities to create solutions that enhance financial resilience of underserved communities. We look forward to working with these start-ups to de-risk their journeys towards sustainability and commercial viability." “Fintech presents a unique opportunity to promote the financial health of India’s underserved households who struggle to adopt digital platforms for their financial needs. J.P. Morgan remains committed to promoting the financial health of this segment and is incredibly proud to support and mentor this talented pool of entrepreneurs,” said Kalpana Morparia, CEO, South and South East Asia, J.P. Morgan. Easyplanhas built an app that can help young Indians save money in a simple and effective way in a separate digital goal-based savings bank account. ExpressMOJOoffers a technology platform for small fleet owners and individual driver/owners to directly connect with customers and avail of credit based on their business transactions on the platform. Finlokbrings together communities and friends on a digital platform that allows them to save and borrow from each other. Jai Kisanhas an e-commerce platform that uses multiple data points to create a credit score for small farmers and enables their access to low-cost capital to purchase discounted agri-input and equipment. MunshiGprovides an affordable and intuitive voice-based solution for small grocery stores to manage their inventory and book keeping. Navaana Techuses voice-assisted and image-based friendly digital interfaces to improve the quality of life for individuals with low levels of literacy. SureClaimis an intelligent claim platform that helps process insurance claims. WonderLend Hubsis a digital platform that uses financial and social data to create credit profiles resulting in shortened turnaround times and lower rejection rates for MSMEs and individual borrowers who lack sufficient credit history. XtraCapuses GST (Goods & Services Tax) data to assess the credit risk of small businesses, providing them access to short term liquidity against supplier invoices.